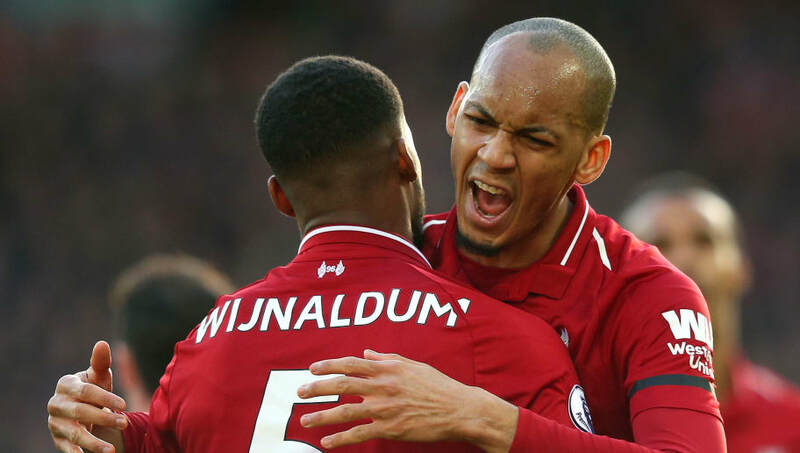 ​Liverpool midfielder Fabinho has said he is pleased with his overall performance in the Premier League, while opening up about his slow start to life in England. After joining the Anfield outfit from Monaco in a £43.7m move last summer, Fabinho discovered that the beginning to his Merseyside career would not be straightforward, starting just five Premier League matches in the first half of the season. However, since November the Brazil international has managed to cement himself in the starting lineup. "I am happy. I still have things to improve but I am happy overall with my performances, I am up to the speed of the Premier League and that was what I was looking for," said Fabinho, via ​Sky Sports. It’s been said before, but Fabinho is to our midfield what Van Dijk is to our defense. Another immense performance. "I had the patience to wait for my opportunities. I think if it was up to me I would have been playing from the beginning. "Maybe Jurgen could see something I couldn't see, so not just conversations with him but all the staff helped me." ​Fabinho is no stranger to title challenges, coming from the Monaco squad that sensationally won the Ligue 1 title and reached the Champions League semi-finals in 2016/17. As Liverpool sit in second behind Manchester City with a game in hand, his experience could be critical as they reach the business end of the season. "I had a good season with Monaco," Fabinho added. "We scored a lot of goals and we had joy playing football and we have to do it here as well, enjoy the games and go on the pitch with happiness and go game by game. "I know it is really hard to win a league, especially the Premier League, but we have experienced players here at ​Liverpool. "We know we are at the top of the table and it is important to be there at this point in the league but we cannot think just about the title every time, because that can put extra pressure on us." Liverpool are taking advantage of the break in Premier League action for some warm-weather training in Marbella, Spain. According to the club, Fabinho and ​James Milner have returned to full training, after the former suffered a minor muscle complaint and the latter recovered from illness. The team will return to England on Friday ahead of the first leg of the Champions League last 16 tie against ​Bayern Munich, which they will host at Anfield on Tuesday.